Home energy management is all about tracking how much electricity your house or apartment uses, then finding ways to save. Monitoring your home energy consumption, however, isn’t always easy. How are you supposed to measure the electricity any of your appliances use, let alone your whole home? Fortunately, a rising number of green and eco-friendly solutions have appeared on the market for those who want to save both energy and money. Here’s a look at some of the most reliable options, what they’re best suited for, and where you can find them. 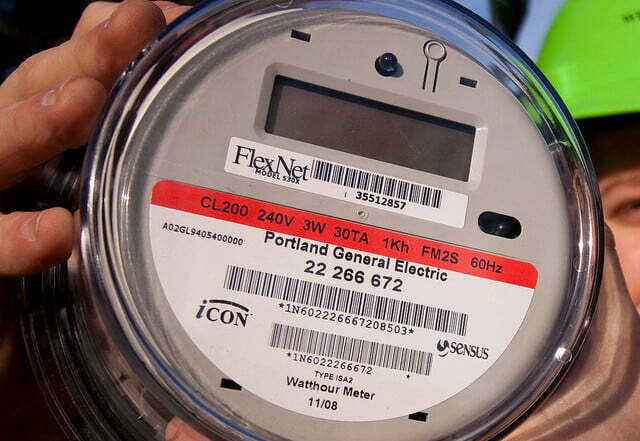 Smart meters are highly adept energy trackers but are also outside of your control. These are digital utility meters that are installed by power companies, house by house. They send wireless signals (or sometimes power line signals) to show how much electricity the house is using as a whole. This makes it really easy for power companies to check your energy usage from a distance and often gives you access to regular reports on how much energy your home is using. As part of upgrades to smarter grids, power companies around North America have switched to these smart meters. It’s taken some longer than others, some companies still balk at the change, and homeowners can refuse the new installation if they want. (There are a lot of very odd conspiracy theories out there about smart meters spying on people or poisoning homeowners.) In other words, there’s no guarantee that you have or can have a smart meter. The best way to find out is to either look on your power company’s website or call up your power company and talk about it. If you have a new-looking electricity meter with a digital readout, you probably have a smart meter. Some of them even handily say “smart meter” somewhere on the box. If that’s the case, head to your power company websites, log in, and see how you can use that particular monitoring option to watch your total energy usage, typically from day to day. Many companies also provide guides on how to lower these numbers. TED Pro Home ($300): TED Pro Home connects to your electrical panel and gauges how much electricity is entering your house. Expansions allow you to monitor individual circuits, alternative energy systems, and more. It can connect with current smart home protocols, and you can view individual appliances with the Spyder device. There are also several display options, including a wired display and a portable option. Sense Energy Monitor ($300): Sense lets you monitor your energy use in real-time through iOS, Android, and web apps. It integrates with Amazon Alexa and IFTTT, and it allows you to see the amount of electricity your household is using. You can also see what time people in your household arrive home, check whether or not your sump pump is on, and more. Neurio Home Energy Monitor ($220): This device includes the ability to train your system to recognize particularly large devices (though results have been mixed on this, according to reviewers). However, even without the learning functions, after a little breaker work, the Neurio can still measure the electricity that your house use, letting you watch your electricity usage on apps in real time. It also works with IFTTT, all at a price lower than many monitors. Eyedro ($119 for wired or $169 for wireless): This affordable device lets you monitor your electricity use in real-time. There’s a wired or wireless version, and many customers say the installation process is pretty painless. These are single-appliance energy monitoring and control devices. It’s important to note that not all smart plugs offer energy tracking — their focus is more on device control and setting schedules. However, many also monitor electricity. The advantage is that you can just plug them into a normal outlet, plug in your appliance, and see how much energy it uses without any extra work. You also have the option to turn the appliance on and off based on a schedule designed to save energy. However, this solution works best if you have only a few energy-hungry appliances you want to track, instead of whole house monitoring. It’s ideal for people who rent and can’t exactly rewire their breaker boxes for a full system. However, smart plugs aren’t much good outside of normal NA-style outlets, so your washing machine, oven, and other big appliances probably won’t be compatible. WeMo Insight Switch ($35): From creating rules and schedules for your devices to monitoring energy use and changes over time, Insight does a little bit of everything. It’s useful not only for its relatively low price, but for its ease of use. Plug it in, download the Wemo app, and you’re basically done. Elgato Eve ($50 for single pack): Designed to work with Apple HomeKit, Eve is a suite of smart devices that are do several security and monitoring tasks. The Energy device in particular is a handy smart plug that even provides graphs that chart out just how an appliance is being used from day to day and season to season. Siri voice controls are also enabled. D-Link Wi-Fi Smart Plug ($40): D-Link’s smart plug offering is a full-service device designed for protection and monitoring. This includes the ability to schedule an appliance to turn on and off, remote management, and protection against overheating. It’s ideal for managing a home office or similar types of electronic setups. Smarts apps attempt to measure home energy usage without all the separate components that home monitoring systems require. Some require you to measure and record individual appliances, some try to tap into local smart meter readings, and some estimate home energy use based on available local data. Energy Consumption Analyzer: This analyzer is available across a number of platforms and allows you to program in meters for gas, electricity, and water into a database. Record your meter readings regularly, and the app guesses at your energy consumption with a few statistical tricks. It’s a nice, free app for those who don’t mind obsessing over the details. Home Energy Saver: This is a government-sponsored web app that allows you to estimate your residential energy use and create a plan for upgrading your efficiency. If everything else on this list sounds like too much work but you still want to save, this is a good app to start with. Smappee Energy Monitor ($250): Smappee blurs the line a little between app and home energy monitoring system. However, instead of rewiring your breaks or fuses, all you have to do is snap the sensor onto the electrical box and let it work its magic. It’s also supposed to be able to offer other smart home benefits, like identifying particular appliances and setting up management schedules. Unfortunately, the price is more like a monitor than an app.